Under tough new drink driving laws, Victorian drivers who are caught with a blood alcohol reading higher than 0.10 and are first-time offenders could lose their cars to the impound lot for a month. 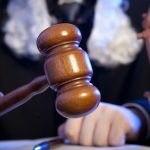 The controversial laws are due to come into effect in August, and there have been calls for other states to follow suit with similar legislation. But should they? Currently, first-time drink driving offenders in Victoria face a fine and loss of their licence. Under the new laws, as well as a minimum $600 fine and loss of licence for 10 months, first-time offenders who blow over 0.10 (twice the legal limit) will also face having their vehicles impounded. They will also have to pay towing costs when vehicles are impounded roadside. The laws have been welcomed by Victoria Police, who point out that around 3,500 first time drink drivers are detected each year with blood alcohol readings over 0.10. “Most people don’t think about the risk of drink-driving, they more worry about getting caught, so when you throw in that extra incentive, impounding the car is a pretty clear line in the sand”. Despite this support, there are questions over how effective the move will be as a deterrent, and how it might impact third parties. It is reported that vehicles will be liable for seizure even if driver doesn’t own the vehicle. 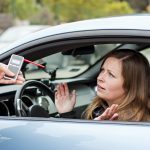 Although the laws will give the registered owner the ability to appeal against impounding, this will take time and could be expensive – which is highly unfair in situations where the owner had no reason to believe that the driver would be drinking. Aren’t current penalties in NSW harsh enough? NSW has also already recently toughened drink driving laws. Under changes that came into effect on February 1, drivers convicted of high-range or repeat offences will not only face a minimum disqualification period, but will also have to drive with an interlock device on their cars for 12 months when they get back on the road. Interlock devices are breathalysers that prevent a vehicle from being started if alcohol is detected when the driver blows into it. 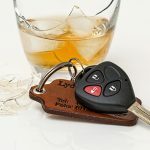 According to The George Institute for Global Health injury division director Rebecca Ivers, impounding cars won’t solve the problem of drink driving on its own. “There is a clear need to reduce recidivist drink-driving behaviour, but measures need to look at broader public health approaches to address underlying causes as well as enforcement based approaches”. There are also concerns about how the impounding of a car might affect family members, especially those from low incomes who share the one car. Through no fault of their own, they may find it much harder to meet their work and family obligations, which seems unfair given that they were not the one drink driving. 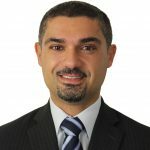 There are further concerns that the laws will further clog up the court system, with registered owners appealing cases where they were not the driver, and drivers generally being more reluctant to plead guilty or, alternatively, adjourning their cases as long as possible to postpone the inevitable impounding of their cars. 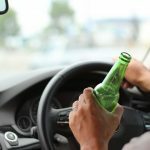 If you have been charged with drink driving, an experienced drink driving lawyer in Sydney will be able assist you to beat the charges, or to receive the most lenient penalty if you wish to plead guilty. They may even help you to avoid a conviction and a licence disqualification altogether, even if you plead guilty.